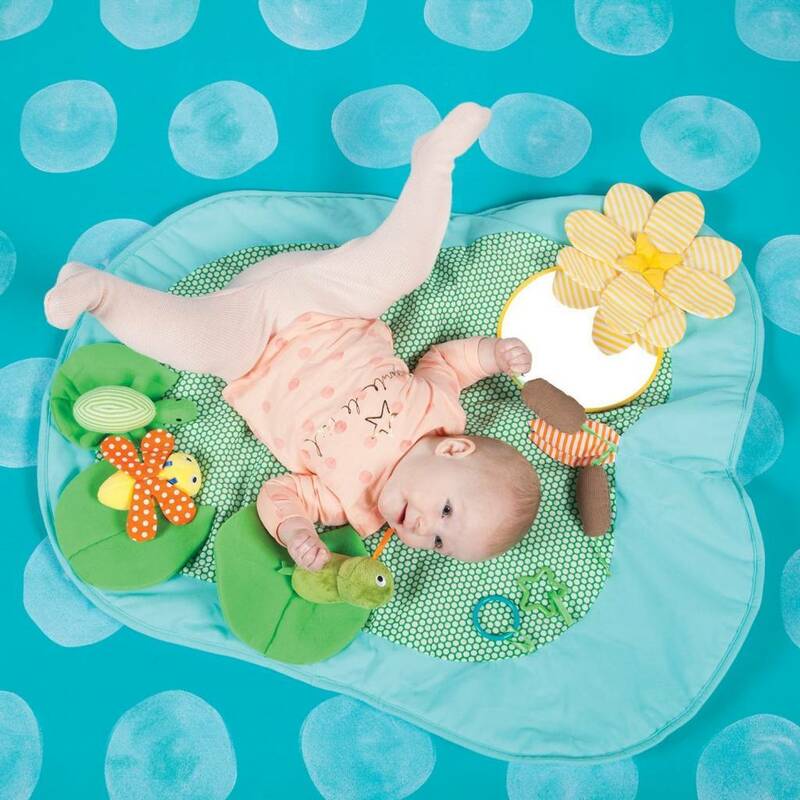 Includes 3 detachable hook and loop characters and mirror. 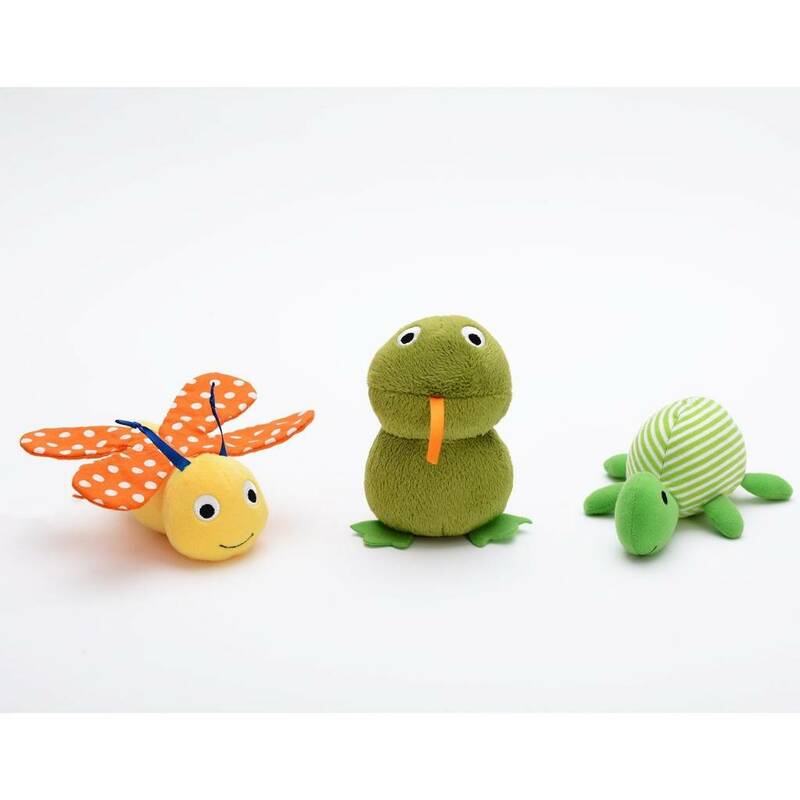 Removable characters include a frog chime toy, rattle turtle and dragonfly with crinkle paper wings. 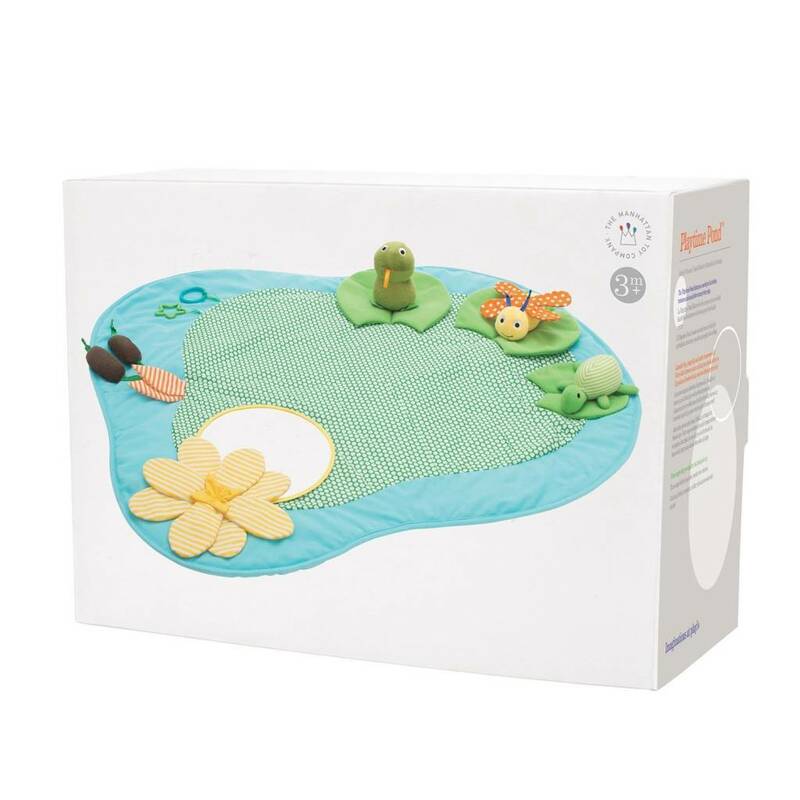 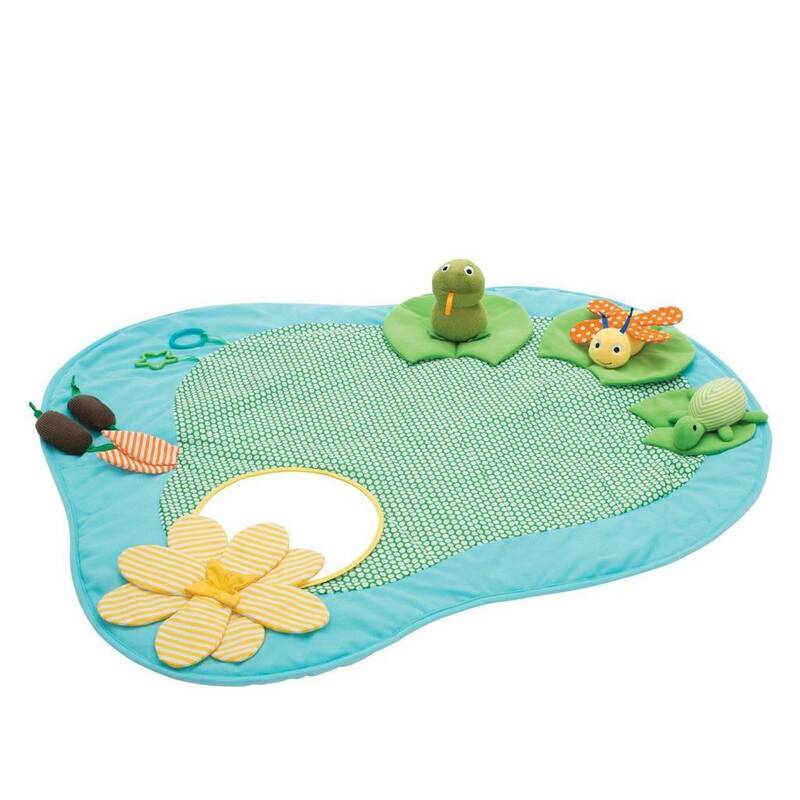 Features squeakers, teether, discovery mirror, crinkle paper flower and a variety of textured materials. 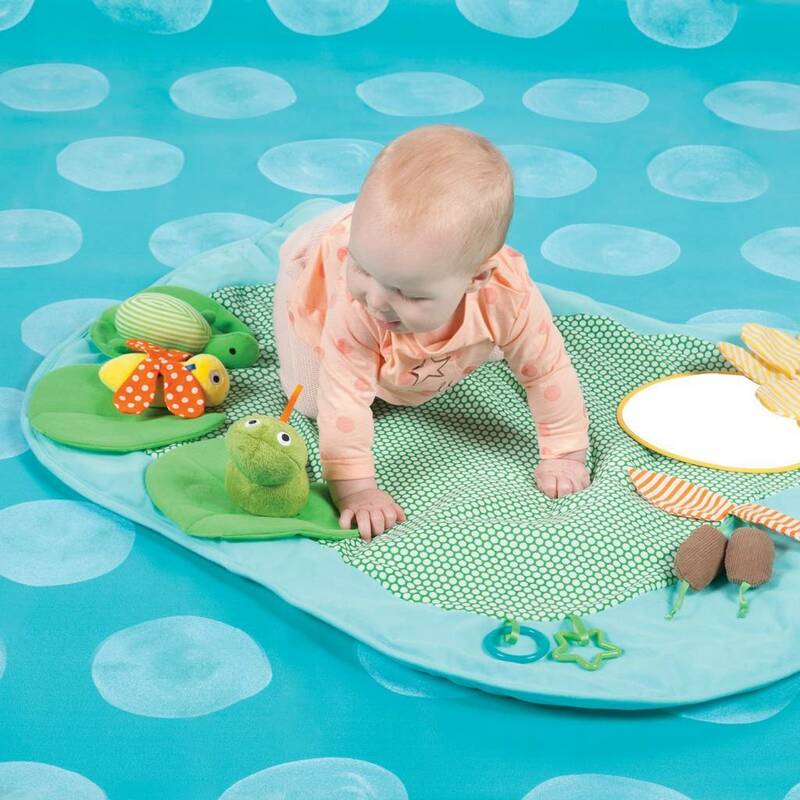 Supports cause and effect learning and fine motor skills.